With great prices, high quality products and numerous shops that are spread throughout Rawalpindi, the place is a major attraction for the locals and tourists who love to shop. Considering the zeal of the people, the government has also allotted a giant commercial property to be used for building shopping centers and mini marts where the people can not only purchase stuff but also have food courts and other attractions inside the malls so that everyone enjoys it on their own level of comfort. Among the hundreds of amazing places to shop, here are our some top shopping malls and places in Rawalpindi which you should definitely visit. Located on the main GT road, in the heart of the twin cities, Giga mall is one of the most visited and adored public mall. People come to Giga mall whenever they visit Rawalpindi or Islamabad because of the amazing things it has to offer. From food courts, handmade article shops to fashion and fun activity counters, Giga mall has it all. Rabi center is another of the amazing places that you need to visit in Rawalpindi. Situated on the very busy Tariq road, Rabi mall is basically known for its fashion and ensemble shops. Every kind of clothing items and fashion accessories are available here in sheer abundance. To get a taste of the traditional buy and bargain, you must visit the place. The midway shopping center is located next to Dhok Piracha in Rawalpindi and is very famous when it comes to counting the amazing shopping centers and malls. The place is considered as one of the crucial attractions for the foreign tourists and has some brilliant shops that sell quality material at very reasonable prices. The commercial market is a huge area that is located next to Rehman Abad in Rawalpindi. Due to the massive open area of the place, it has a number of shops and each one if colorful than the other one. From food to clothing, everything can be found at the commercial market. This market is one of the oldest places to shop in Rawalpindi. Gold point mall is one of the very well known shopping malls in Rawalpindi and has always been jam packed with local as well as foreign tourists. 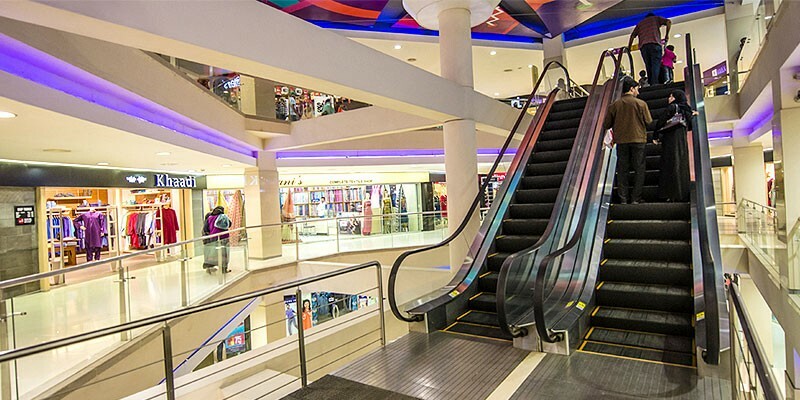 The amazing shopping mall is located on Benazir Bhutto road and is henceforth quite prominent as compared to other shopping points. They have mini-marts, eating stalls, accessory points as well as shops that sell casual fashion attire at an affordable price. Situated on one of the busiest roads in Rawalpindi, China Market is a bargain deal heaven. The market is located on College road, Raja bazaar which is very well known by the locals. The market has anything and everything that your heart desires under your own budget. Ranging from several clothes shops to fake jewelry as well as traditional pieces, China market is the ultimate stop for all the people who wan a steal deal. Located in the very heart of Rawalpindi, Al-Jannat mall is known for its variety of shops, marts and stalls filled with everything that is necessary or just needed for fun. Located at the Commercial center near satellite town, this shopping mall gets a lot of traffic not only from the locals but also from the foreign tourists that come in to have a taste of Pakistani shopping under a limited budget, under one roof. Located on the very jam packed Fifth road, Shana shopping mall is making it to the news with its classic and abundant variety ladies dresses, jewelry and other random stuff that you need to maintain your lifestyle. This shopping mall consists of numerous shops that are filled with vibrant clothes, intricate jewelry, yummy food stalls along with a variety of home decor articles. Rafay mall is located on the very well known Peshawar road in Rawalpindi. This mall is the hidden gem in the coal mine when it comes to shopping in Rawalpindi. The mall has a brilliant and vast selection of shops that sell clothes, fancy footwear, accessories, baby clothes and some delicious food stalls that will keep your tummy happy while you find your perfect pair of shoes at an unmatched price.